Be a foster home. Open your home to an animal who needs a place to live and learn until he/she can find a home. Set up a donation coin can or food program. Create donation cans and place them in area businesses or put pet-food donation collection bins at local supermarkets. Fix an animal. Help a friend or acquaintance fix their pet. To find a local low-cost spay/neuter program, call 1-800-248-PETS or 1-888-PETS911 (or visit their website at www.pets911.com ). >Computer skills: Create or manage a website for a local group, or help create a mailing list database. >Graphic design and desktop publishing skills: Design a logo, brochure, newsletter, or poster for a local shelter or rescue group. >Sewing, knitting, or crocheting talent: Offer to make pet beds or catnip mice.Visit the Snuggles Project website (www.snugglesproject.org) for information on making pet “security blankets” for shelter animals. >Building/construction skills: Make repairs around the shelter, or build doghouses or feral cat shelters and feeding stations. >Writing talent: Offer to write their newsletter or an article for the local paper. >Organizational skills: Help out with administrative tasks or event planning. >Gardening skills: Ask if you can help beautify the landscaping around the shelter. Donate professional services: Legal advice, accounting, public relations, dog training, grooming, graphic design, and printing are a few of the services that most organizations can use. Provide care for shelter animals. Volunteer to clean cages, or feed, groom, or walk the animals in a local shelter. Feed a feral, or two, or three. Many organizations practice trap/neuter/return and can use help with feeding cats. An offer to help with feeding once or twice a week can provide a nice break for a busy caregiver. 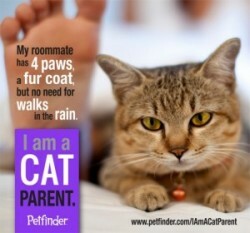 To learn more about trap/neuter/return, visit the Alley Cat Allies website at www.alleycat.org. >List homeless animals on an adoption website. >Photograph shelter animals for use on adoption websites, newspaper ads or posters. >Create adoption posters and hang them around the community. >Pick up donated pet food and supplies from local businesses. >Drive animals to and from the vet clinic or adoption events. >Provide transportation for people who need to get their pet fixed but cannot drive. > Do paperwork, record-keeping, data entry. Provide emergency help. Make yourself available on an emergency basis to do whatever is needed. >Talk with local elected officials, attend city/county council meetings, and voice concern for the animals. >Write a letter to the editor of the local paper to point out the contributions of a local organization, veterinarian, or others who have helped animals in need; to address current community animal issues; or to provide general information on spaying and neutering pets. >Watch for pending legislation on local animal issues, and speak on behalf of the animals. Ask the local paper to run a free ad. Many local newspapers will run a free ad to promote an animal in need of a home at the local shelter. You might be able to help by getting a photo and description to the paper each week. If the paper cannot donate the space, you may be able to get a local animal-related business to sponsor the ad. Do tabling. Offer to set up an information table for a local organization at a community event or fair, or outside the local supermarket, pet supply store or health food store. Focus on gathering addresses for their mailing list and handing out information about the group. Be sure to have on hand nice photos of animals that have been helped and, if possible, a real animal in need of a home. Seek donations for a local group. Circulate a “Wish List” of items needed for the local shelter around your work place and gather the items on a set day. Or, offer to approach local businesses on behalf of an organization to raise funds or seek in-kind donations. Some stores will donate damaged packages of pet food. Talk with your veterinarian. Thank your veterinarian for whatever help he or she may provide to homeless animals and local shelters. If your vet does not already help, ask if he or she would consider providing some discount services to the local shelter, or donating a few spay/neuter surgeries for feral cats. Share information on animal care. Best Friends.org has many informative publications that can be downloaded from our website from the Resources section of No More Homeless Pets. We have publications that help promote adoption rather than buying pets (The Adoption Option), that provide information on spay/neuter (Myths and Questions About Having Babies) and how to help feral cats (Caring for Feral Cats). Get publicity. Call the local TV station or newspaper to let them know about a special event or the work of a local organization and suggest that they report on it. Or, write an article for the local newspaper yourself. Tell your friends and neighbors. Don’t underestimate the value of word-of-mouth. Tell others what you are doing and why. Invite them to help out, too. Join the Best Friends Network. 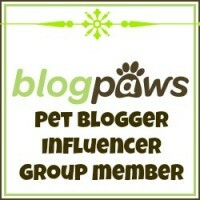 The Network is a global online community of people who care about animals. Through the Network, you can participate in discussions, keep up with news in the animal world, and work with other members to help animals. Members of the Network can join established online communities or start their own. For more information, visit http://network.bestfriends.org. Next Next post: Cat Hair Everywhere. Do You Care to Snare the Hair Instead of Wear?